We want to be able to get in touch with you to inform you about important dates during the academic year, as well as emergency notifications, etc. We’re conscious that no one likes to get a lot of text messages, so we promise to limit how many texts you’ll get from Laney. If you’d like to start receiving text messages from Laney College, please complete the form below. By checking this box you accept that you'll receive text messages from Laney College periodically. Messaging and data charges may apply, please check with your service provider if unlimited texting is included in your plan. 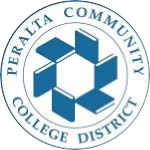 For questions please contact Max Bernal, Public Information Officer at dbernal@peralta.edu or laneypio@peralta.edu.